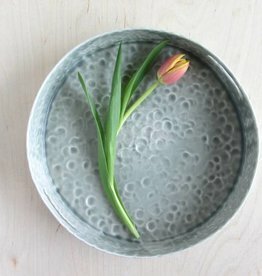 Elizabeth Benotti works with porcelain, interchanging slipcasting, handbuilding and wheelthrowing techniques. Her drawings are all inlaid into the clay using a traditional mishima process; the decorative colors are hand painted. Elizabeth lives in Eliot, Maine and create her wares in her Rollinsford, New Hampshire studio. Learn more about Elizabeth Benotti on her website here.